Understanding the clash between IT and end-users and how to foster agility. At first, it was just a whisper. Someone from Marketing was complaining to a colleague from Sales about the new home-grown sales and marketing automation system that IT installed last year. The system wasn’t working right, it was too hard to use, and the features weren’t exactly what Marketing needed. The marketer’s point: IT was to blame. Eventually, that whisper became a roar. Now, the entire Marketing department was up in arms, and the Sales organization had joined in: “Why is this new system so hard to learn?”, everyone wanted to know. And once again, IT was the target of their acrimony. Smash cut to the office cafeteria. Two IT people are talking about the “fantastic” sales and marketing automation system they developed and deployed last year. Between slugs of Red Bull, the IT folks exchanged verbal pats-on-the-back for a job well done. Clearly, they weren’t aware – yet – of the backlash from Sales and Marketing. Most IT departments have experienced this disconnect at some point in their careers, and probably more than once. That’s because, inherent to the relationship between IT and end-users, is a clash of opposing cultures. On the one hand, IT thinks of itself as a department of providers, supporters and creators, whose solutions company employees rely on everyday to do their jobs. On the other hand, end-users view themselves as “outputters,” whose focus is getting work done quickly and effectively. They are far more concerned with productivity and efficiency – the software they use is merely a tool, not a focus. So, when IT delivers a new system, in most cases end-users get squeamish. Instead of feeling the creativity and enthusiasm that IT is offering, they tend to think, “Great, I’m going to have to spend an extra hour or two everyday learning this new thing.” No matter how great the software is, resistance to change is a typical response. Is one group right and the other wrong? Not at all. In order for IT to remain relevant, it must continue to focus on delivering high-quality solutions to end-users in the most efficient manner possible. It must also be ahead of the curve, with an eye toward integrating modern technologies that promote ease-of-use, flexibility and scalability. Likewise, if end-users are easily satisfied by new solutions, it inevitably does a disservice to the business. By pushing back on IT, end-users are demonstrating a need for tools that not only address the work they do, but also how they do it. Rather than trying to avoid the IT / end-user culture clash, smart CIOs will embrace it. There are two key components to making this work. First, a company must make a concerted effort to replace its legacy systems with modern technologies. If a company’s stated goal is to develop an agile workforce, this can’t be achieved by insisting that employees use antiquated systems. You might get employees to embrace an agile mindset, but using dinosaur solutions will inhibit rather than promote productivity. Meanwhile, if your company has provided its employees with agile systems but employees haven’t embraced the company’s emphasis on agility, they’ll resent the modern tools as being an unnecessary burden on their status quo. Once again, the company’s goal of implementing an agile culture will be stunted. Human beings are creative by nature. Thus, when companies create an environment whereby end-users become part of the creative process, they will be eager to contribute. Engagement is therefore critical to achieving agility. Companies must provide employees with agile systems, and employees must embrace the notion of agility. When this happens, the speed, quality and performance benefits of agile become possible. Select and deploy systems based on modern technologies which allow end-users to accomplish goals on their own, without help from IT. Agile systems should promote easy learning and use, and usability issues shouldn’t always result in trouble tickets. The systems must be intuitive enough for anyone to use, and they must be flexible enough that their support team can rapidly reconfigure the app to meet evolving needs – or needs that are inevitably discovered with use. End-users need to feel engaged in the process of developing tools in order for them to buy into the end result. It’s no good for IT to begin a product development process by putting employees through a long-winded process of dictating requirements, only for IT to come back three or six or nine months later with a prototype of the solution. IT needs to be able to deliver a prototype of a new product quickly, ideally with a day or two, so end-users can provide immediate feedback and feel part of an iterative, creative process. An IT department must continually develop and adapt tools in a fluid cycle of constant change that benefits the agile work environment. When IT says “Here’s what the system does, adjust your business process accordingly,” that’s a recipe for failure. IT needs to listen carefully to the needs of end-users, and if a tool they’re developing isn’t quite right for end-users, it must be configurable such that an employee or designated power user can modify it as opposed to having to go through a software development cycle. In short, the ideal systems will promote agility with a high level of configurability, so they can be constantly adapted to new business processes and/or user feedback quickly. 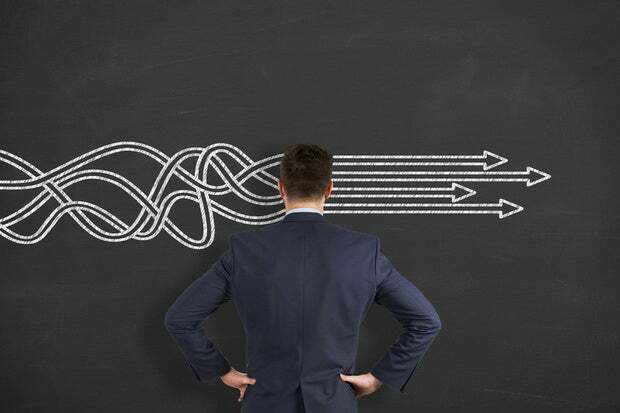 CIOs are fighting an uphill battle if they’re looking to move to an agile framework by eliminating the IT / end-user culture clash. The smarter move is to embrace the clash, because it demonstrates the value each group provides, while at the same time equipping the organization with the tools and training they need to achieve agility. In fact, the “clash” is really due to bad software experiences and stereotyping of end-users, which leads to alienation and reduced productivity. Nathan Shinn is co-founder and Chief Strategy Officer at Billing Platform.